Tomorrow is the Fourth of July and in the United States, it symbolizes a lot of different things to a lot of different people. From the celebration of our country’s independence to enjoying the peak summer season, July 4th often results in family and friends coming together to enjoy each other. And then there are the fireworks. 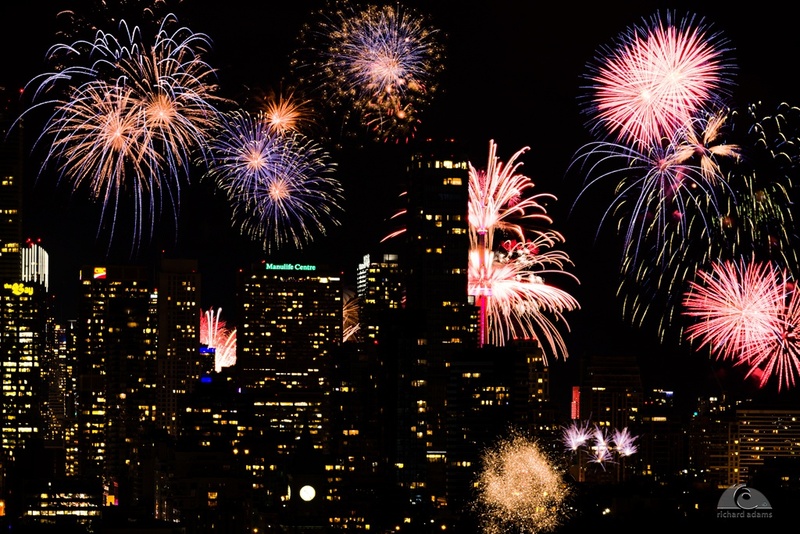 You can’t have a Fourth of July celebration and not be a part of a fireworks event, directly or indirectly (fireworks are quite loud, after all). Of all the fireworks shows that I’ve seen and photographed, one thing that has always stood out is how difficult it could be to capture all of your favorite explosions in a single frame. Aside from the technical issue of overexposing your frame if you keep the shutter open for too long, it’s quite difficult to anticipate which explosions will happen throughout the sequence of the show. Fortunately, there is a solution! I’m very happy to have partnered with my friends at ON1 again to create this video walking you through how I use ON1 Photo Raw 2017.5 to seamlessly blend your favorite shots from a fireworks show into a “Best Of” memory. Check it out and be sure to share your favorite fireworks shots in the comments. I love this technique and have used it successfully in the past. Here is a shot from Toronto on Canada Day 2017. Thanks Matiash. I especially like the very rich (dark) sky.